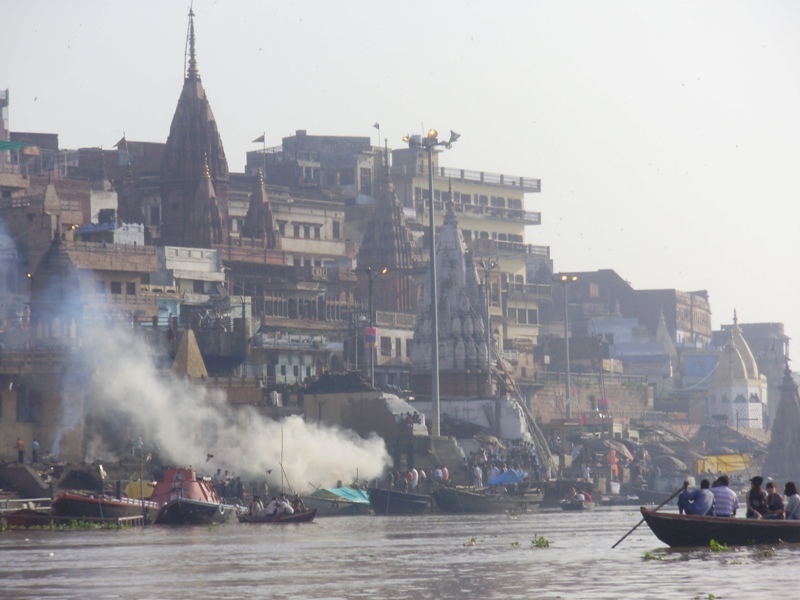 Varanasi is the oldest city in India, it is the holiest city in the world for Hindus and is one of the oldest continuously inhabited cities in the world. 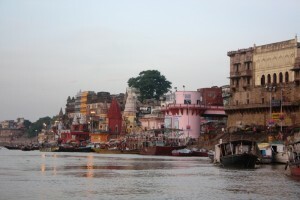 People know Varanasi as The spiritual capital of India. 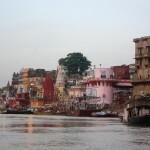 There are many unique places and interesting things what can you see in Varanasi near Ganges river. 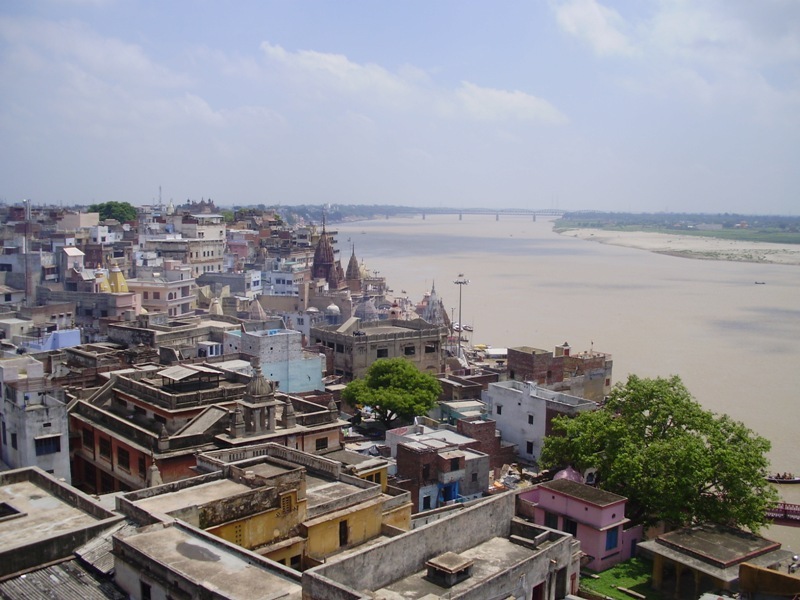 If you want to see ghats and Ganges River from above, you should climb stairs to a tall building from which you have a beautiful view of the ghats and river Ganges. 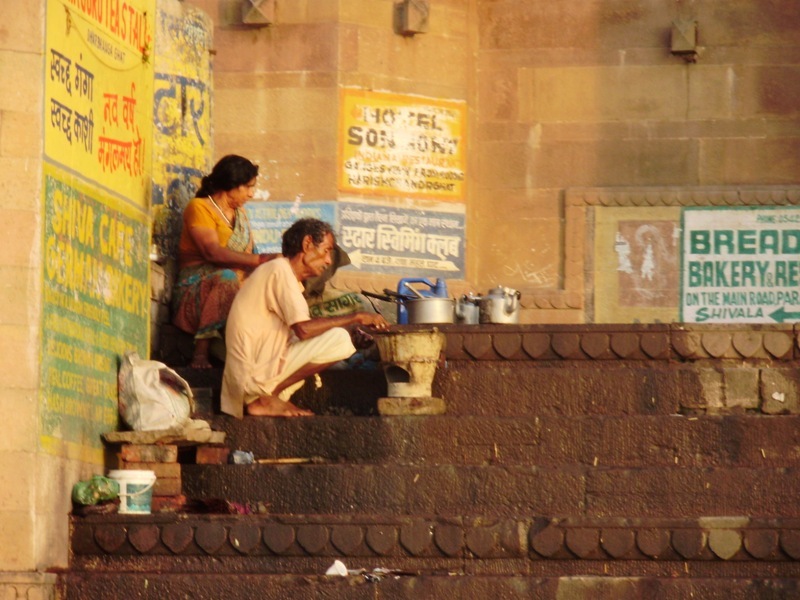 There are several multi-storey hotels with the rooftop restaurant where you can enjoy a meal or chai and admire view. 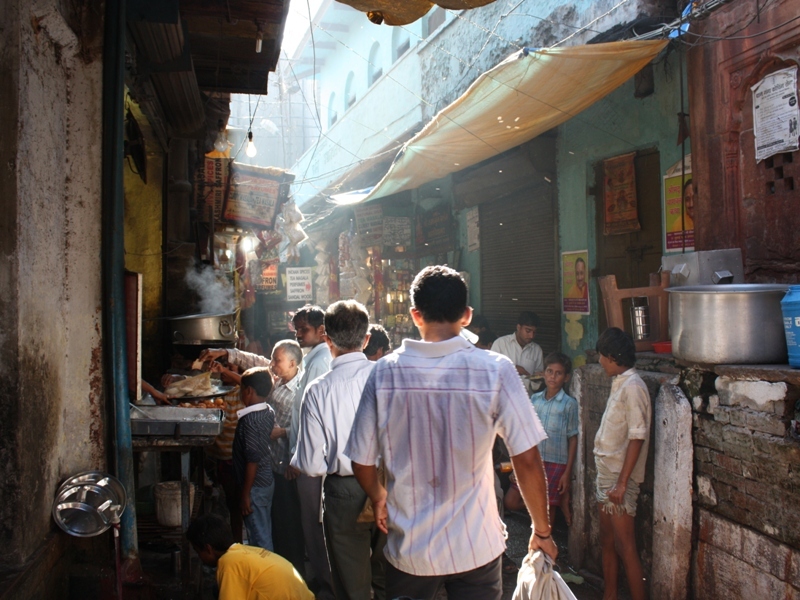 One of the most beautiful things for me was to get lost in the narrow streets, which are located close to ghats. It’s labyrinth where you can see shrines, shops and hotels as well as cows, goats and dogs and local people doing their activities. 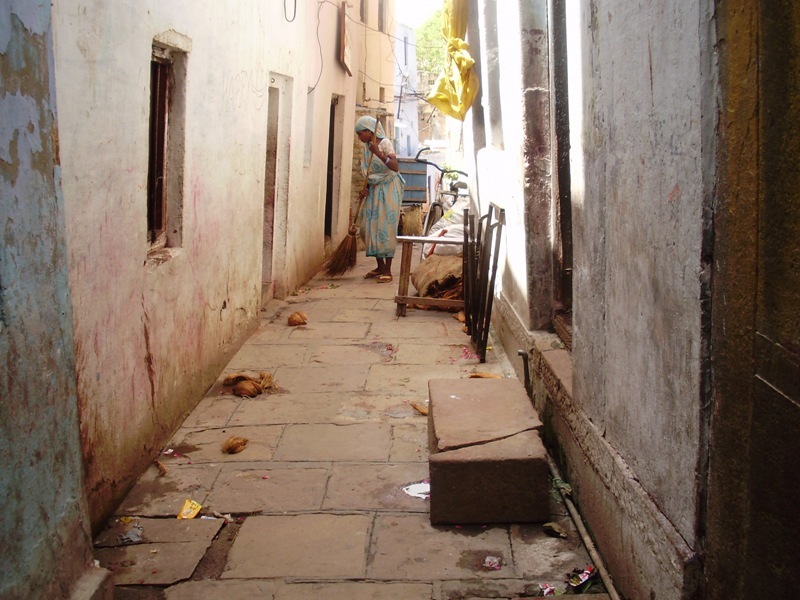 Very often you can meet processions with dead relatives that walk to Manikarnika. 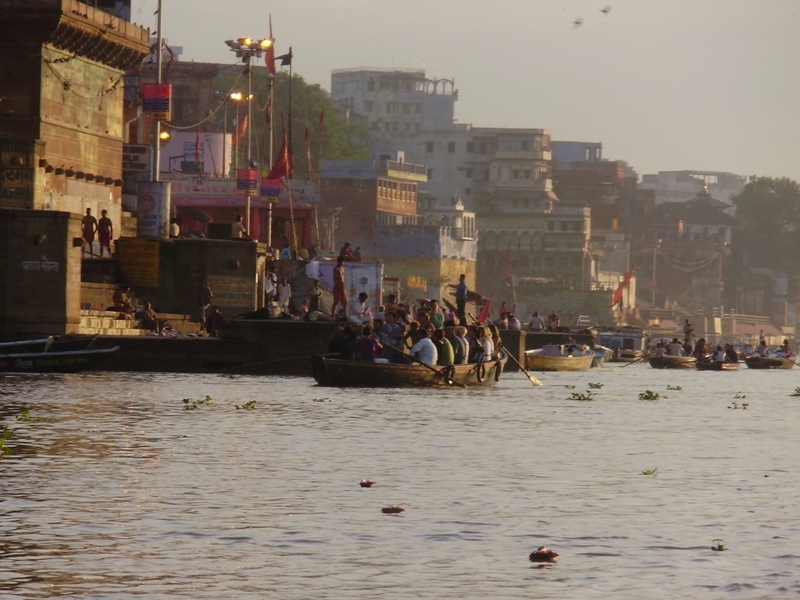 I recommend boat trip along the Ganges to everyone. One day at 5:30 in the morning we took this trip and it was amazing experience. 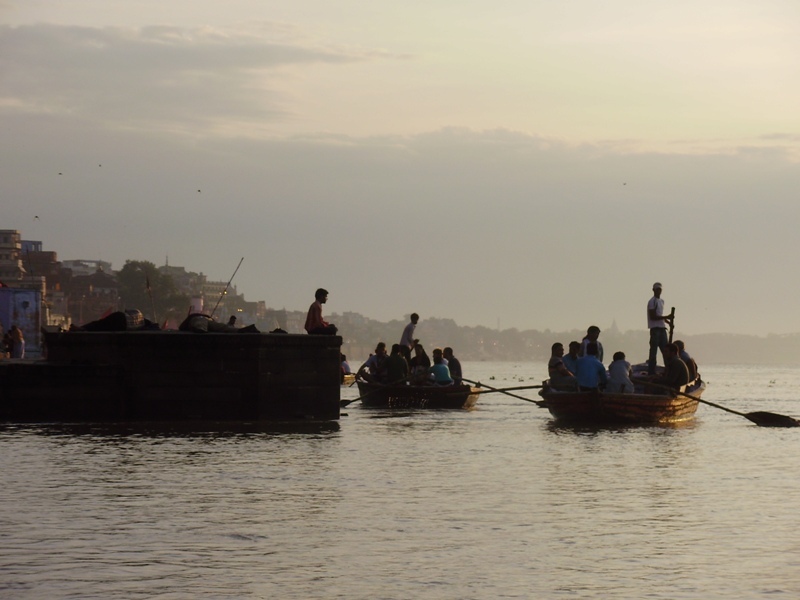 We saw the silhouettes of dozens of other boats sailing on Ganges from which people admire everyday life on ghats. It was a beautiful sight at sunrise. 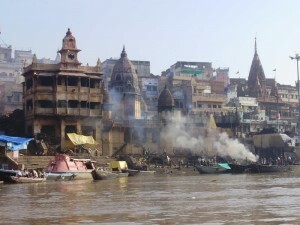 Manikarnika ghat is the biggest cremation ghat in Varanasi. 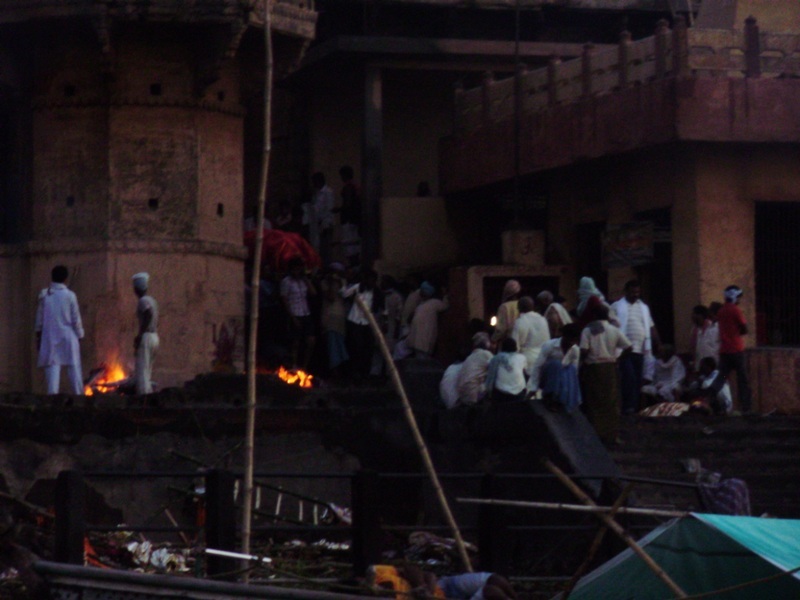 At Manikarnika burn about 10 to 20 bodies, 24 hours per day for several centuries. 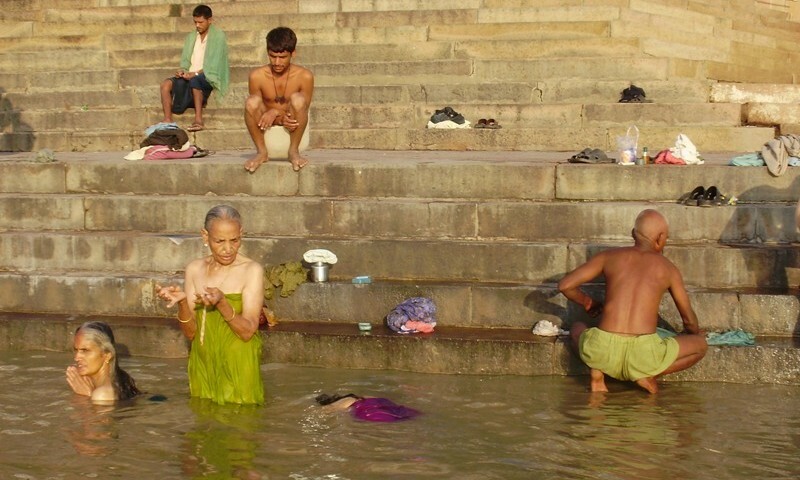 Hindus burn their relatives after the death on the bank of the Ganges and ashes throw to the water in order to end the cycle of reincarnation and achieve eternal life. 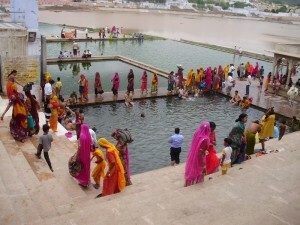 This funeral is very expensive, costs about 10 000 INR. Price depends on the quality and quantity of wood which burns the body. 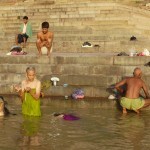 If poor people do not have enough money to burn, their whole bodies are thrown to the Ganges. Sometimes people save money for this funeral all life. The family carries body wrapped in a red sail. Grieving family is dressed in white. The tradition is that the oldest son shaves his hair and assists throughout the funeral. 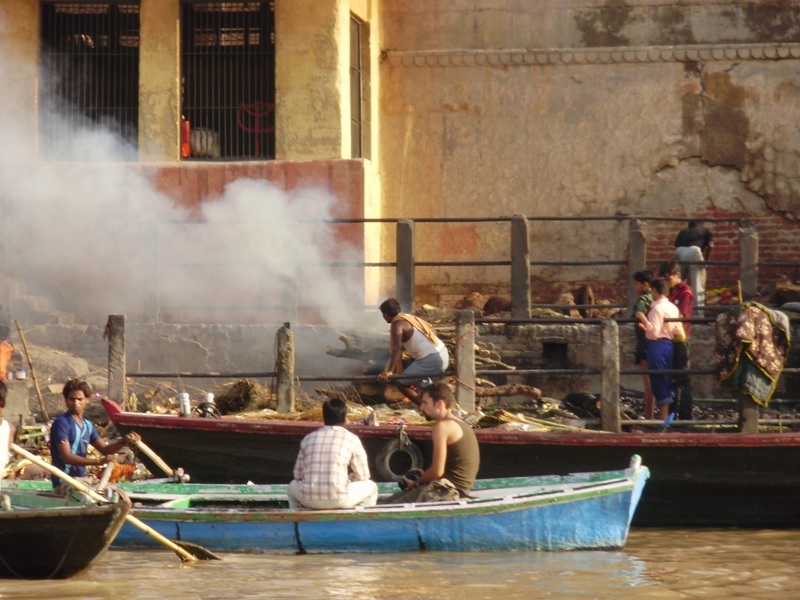 The body is first dipped into Ganges, then funeral ceremony is made, the body is placed on the pyre and burn. Body burns around 3 hours. 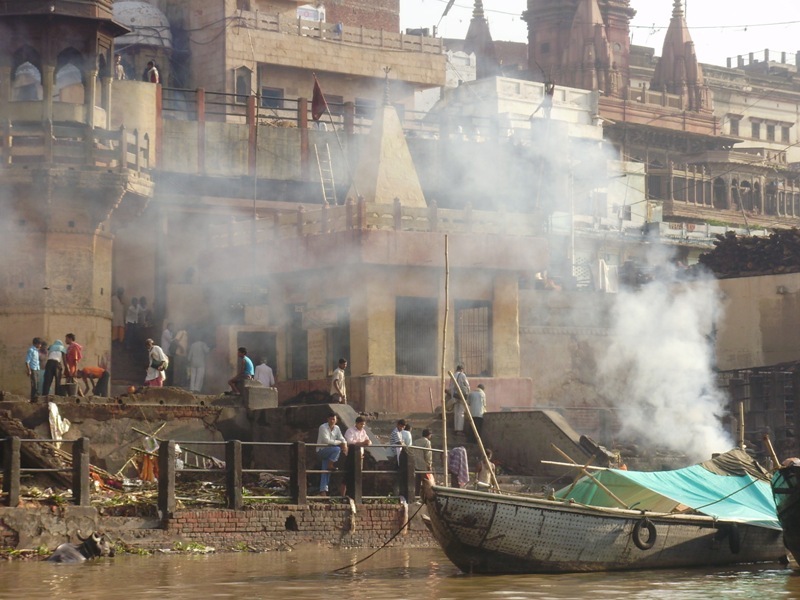 Then the ash is added to the box and the oldest son throws it into Ganges. 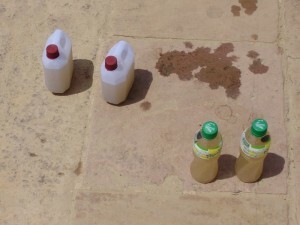 It is forbidden to burn the poorest people, pregnant women, young children, animals, people who were snakebite, the lepers and holy men. 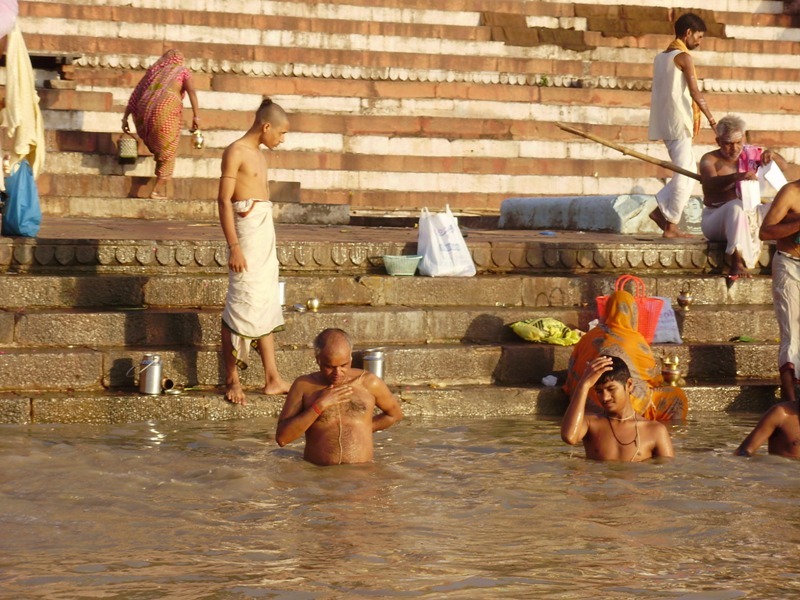 Their whole bodies are wrapped and throw into Ganges. It is because of different reasons. 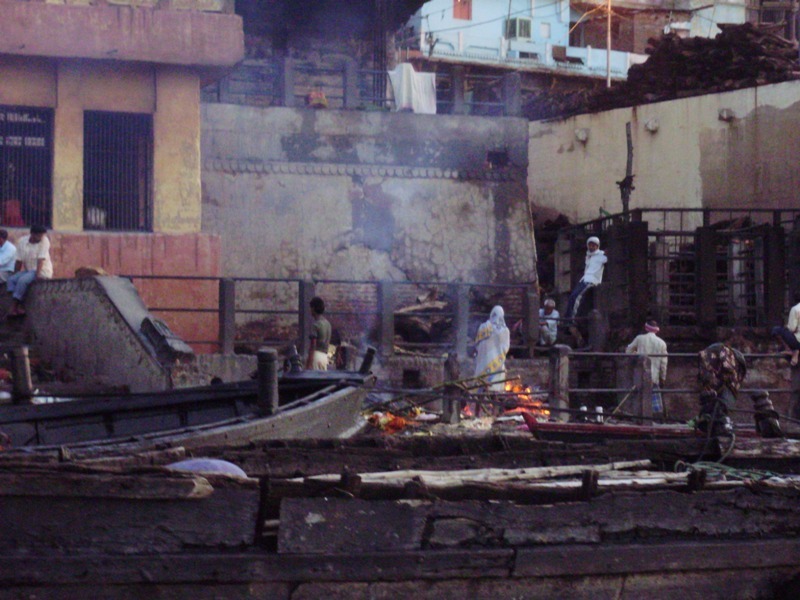 A second smaller burning ghat is called Harishchandra. 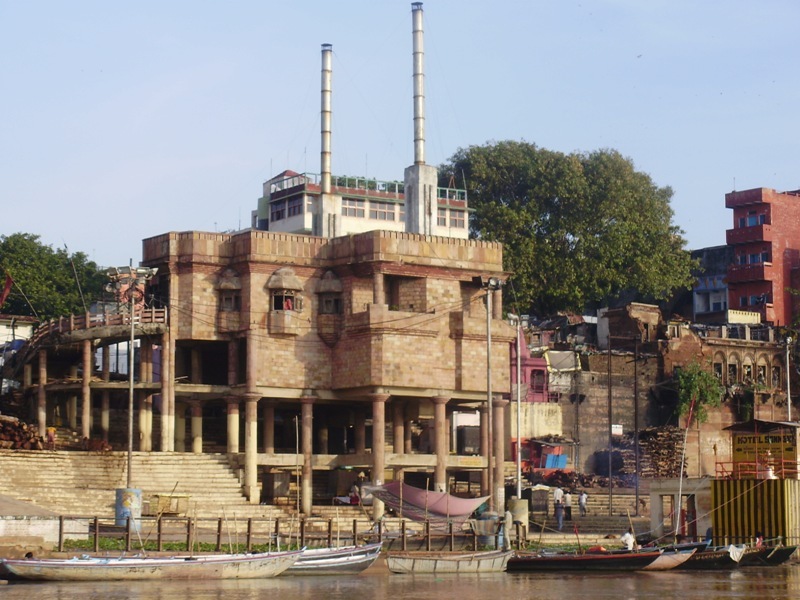 Next to this ghat is a building in which is an electric crematorium. It is for people who do not have enough money to buy wood. They can be cremated by this cheaper way. 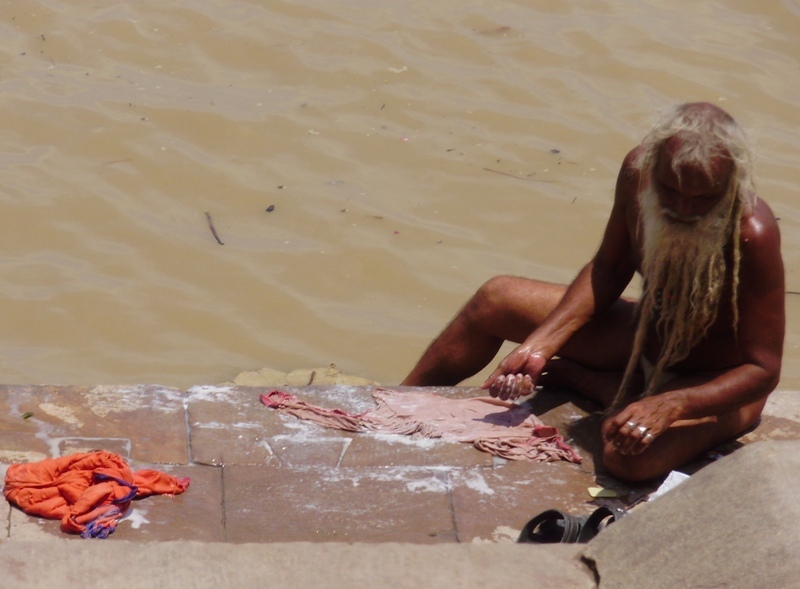 People come to the banks of Ganges with huge baskets of clothes, saris, sheets, which wash in water. 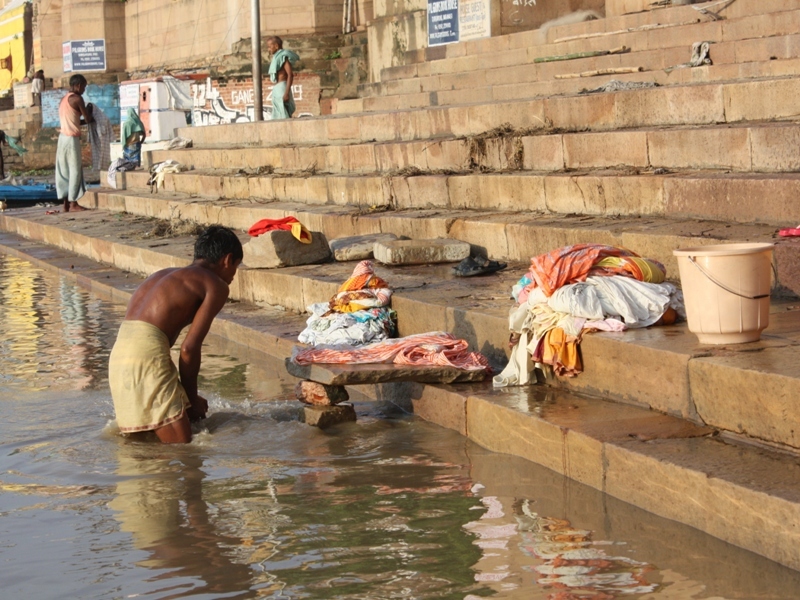 After washing they stored clothes on racks or on the ground and wait until sharp Indian sun will dry it. Popele can hire workers or do it on their own. 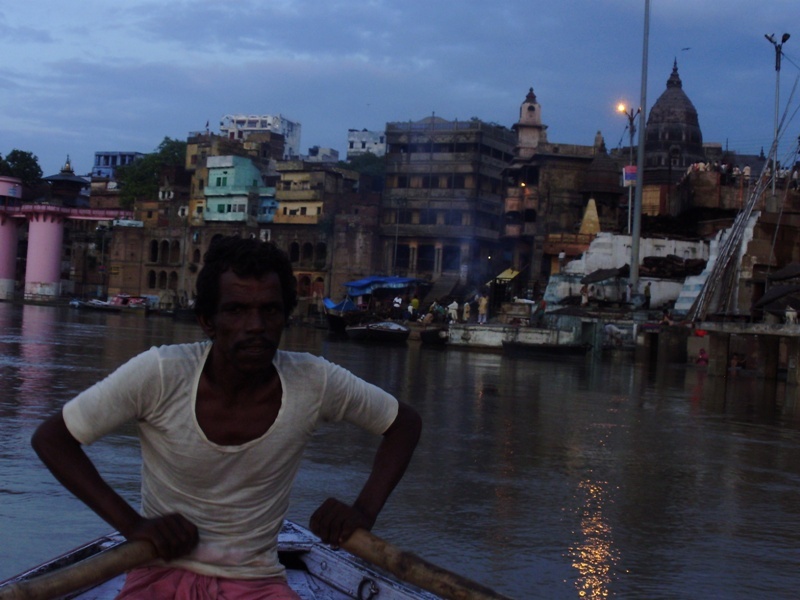 Sometimes it was so terribly wet in Varanasi (eg. when it was not raining for two days) we do not have to do anything, but we sweated a lot. 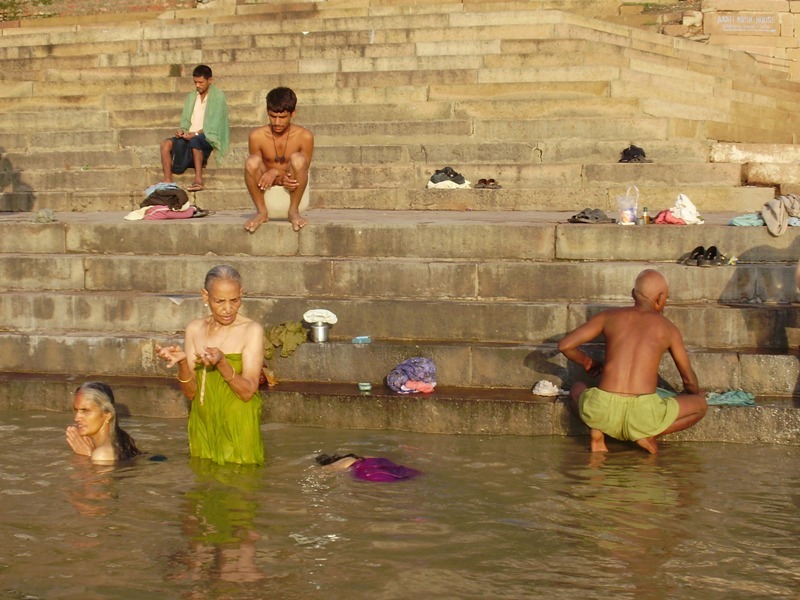 Temperature has climbed to the 40 ° C in the morning. 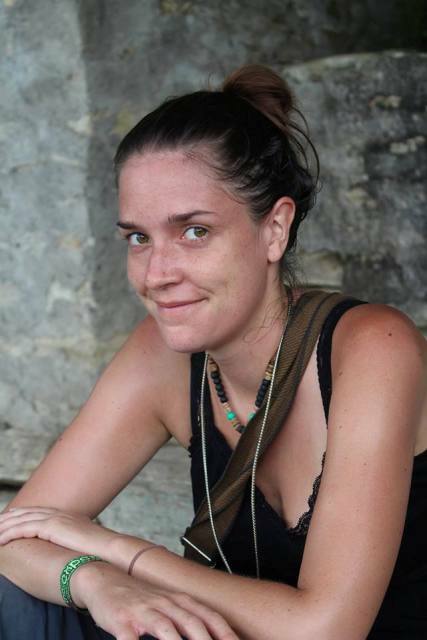 After a short monsoon was always better temperature. 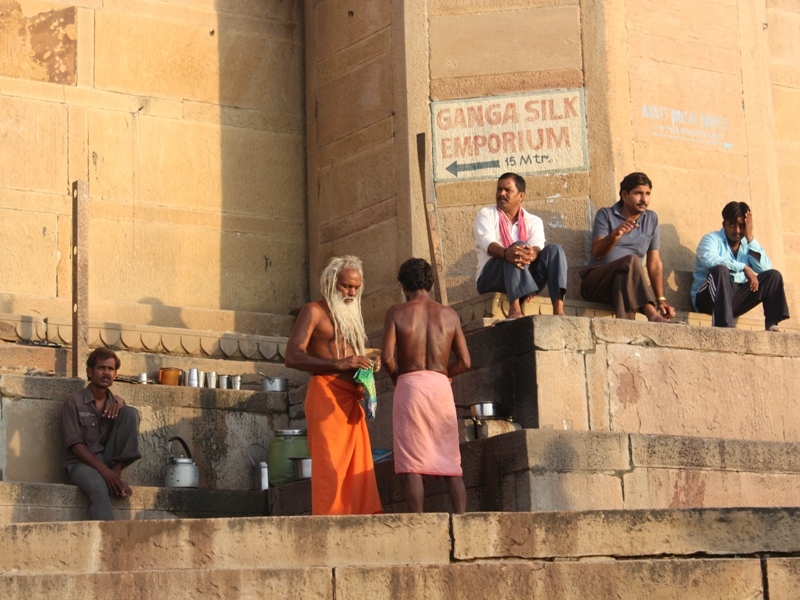 In this temperature is always good idea to enjoy traditional chai which is possible to buy on ghats. 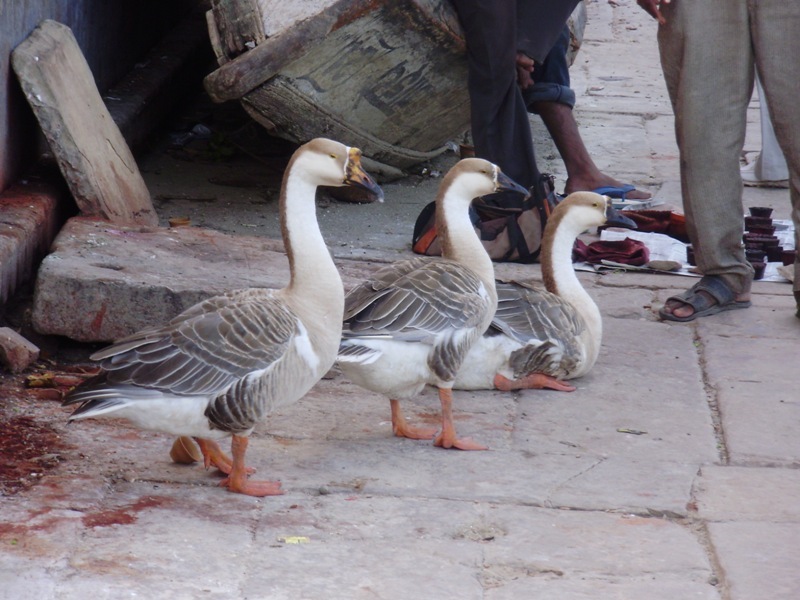 There are many different animal species walk at ghats like dogs, goats, cows or even geese. During a sunrise, when temperature began to rise sharply, cows slowly walk to the water and cool themselves. Sometimes they stay there for the whole day. 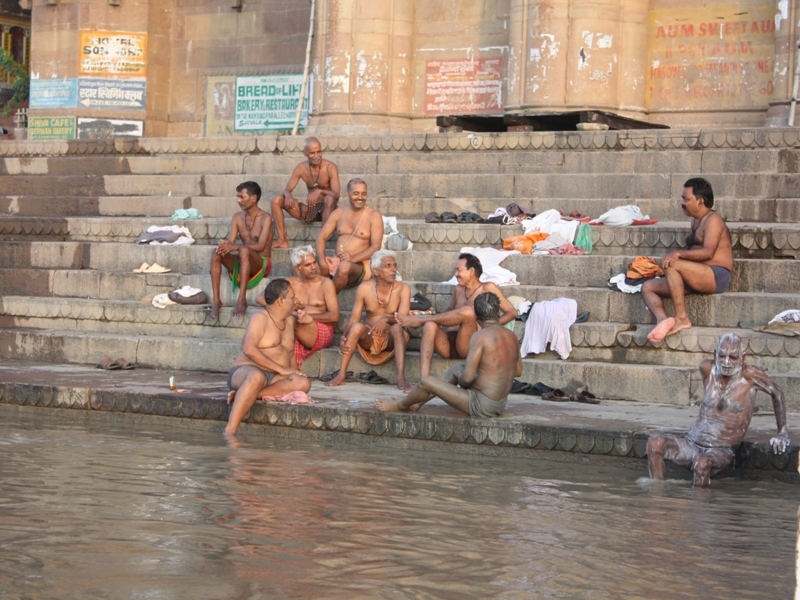 On the ghats are also provided services like massages or shaving. 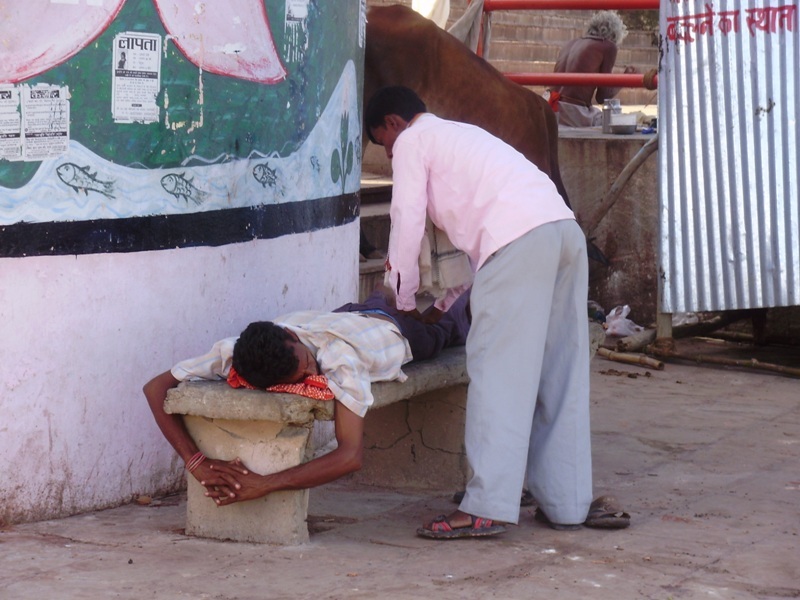 Every time I passed by man, who massaged, he always asked me if I do not want massage and I always politely refused. But for Indians it is normal and they use these services quite often. 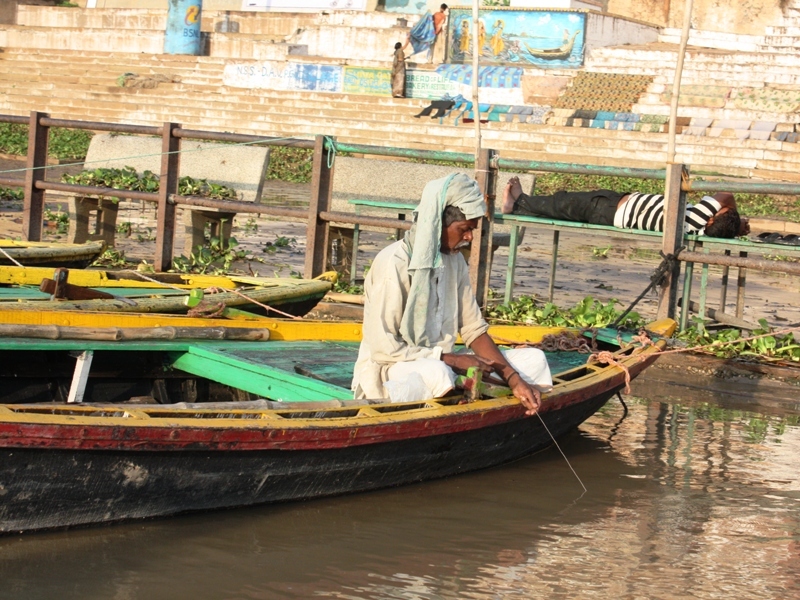 Some Indians catch fishes even in the Ganges. 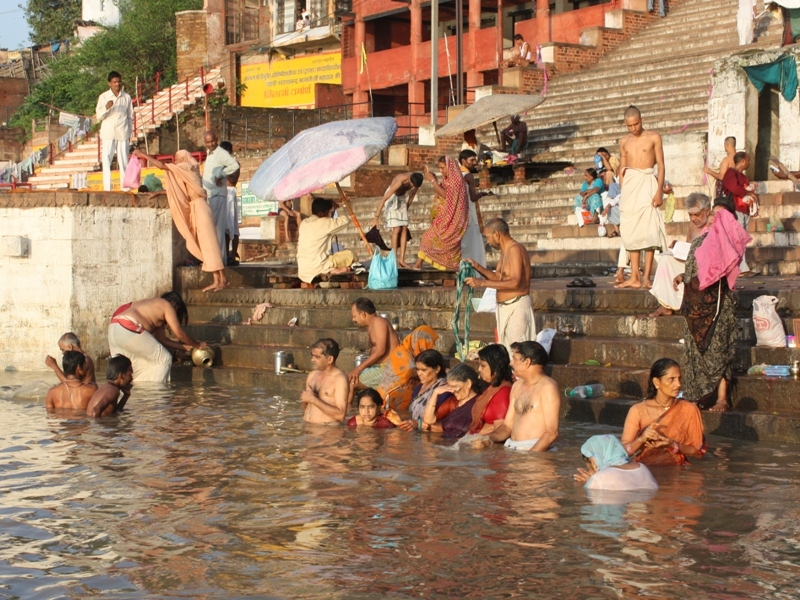 At first I did not believe that there is something living in the water of Ganges, but I saw that it is true. One Indian man caught quite a big fish on his rod. I was really surprised of it. 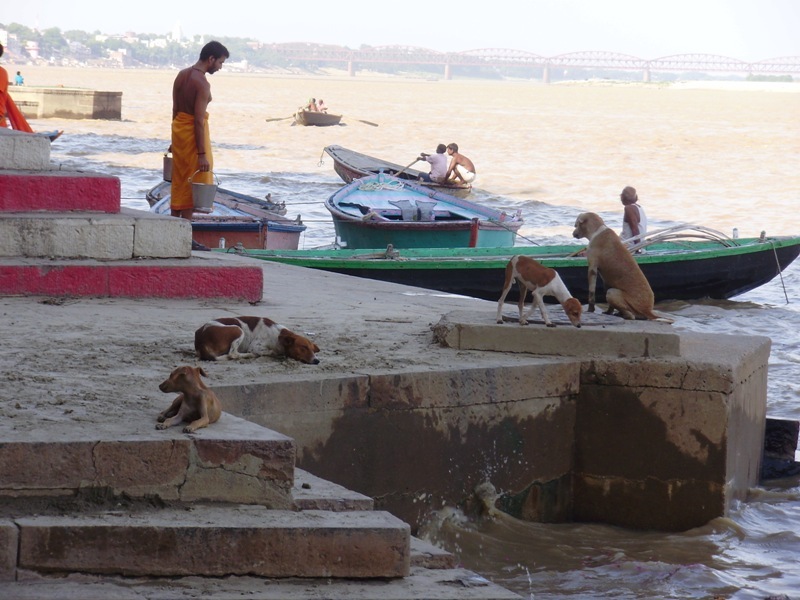 When an animal dies in Varanasi, the Indians throw it into the Ganges. Quite often you can see remains near the banks or downstream. 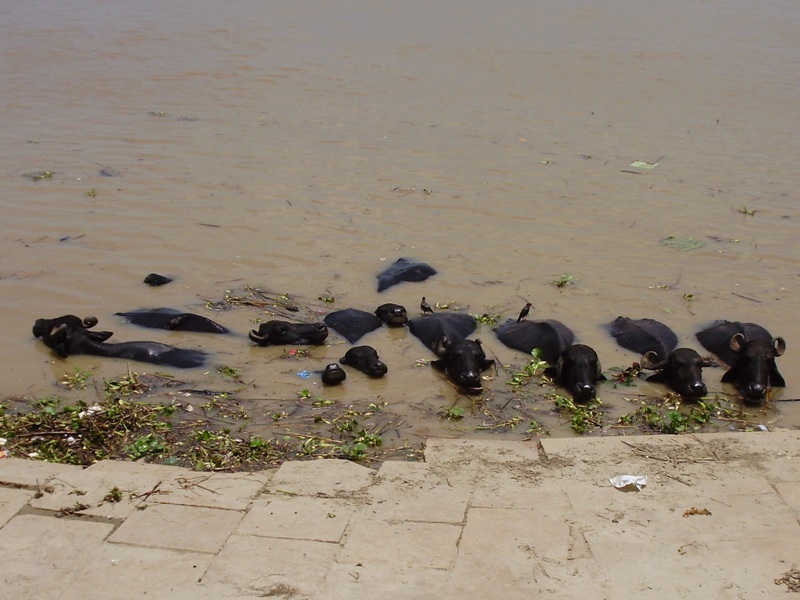 Many times I saw that people wash their teeth or drink water from the river close to the dead animal. 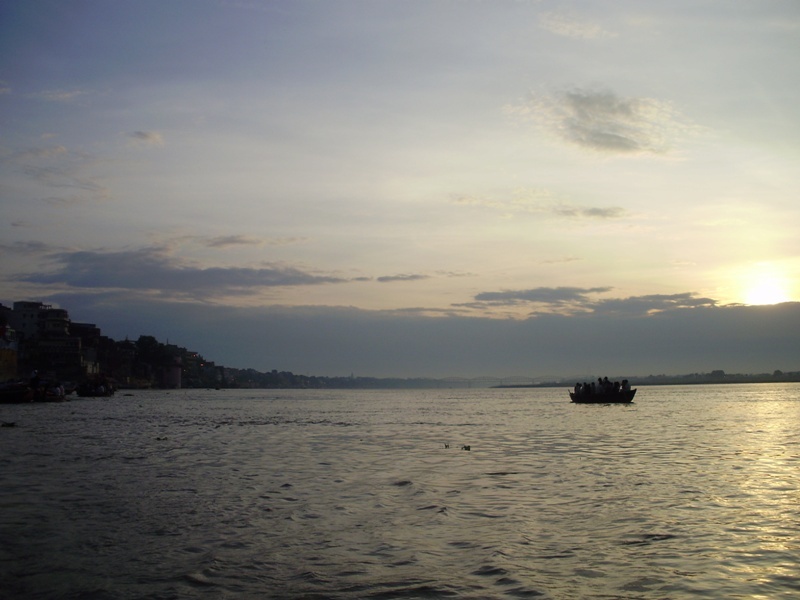 Ganga is sometimes filled with burning candlesticks for good luck. 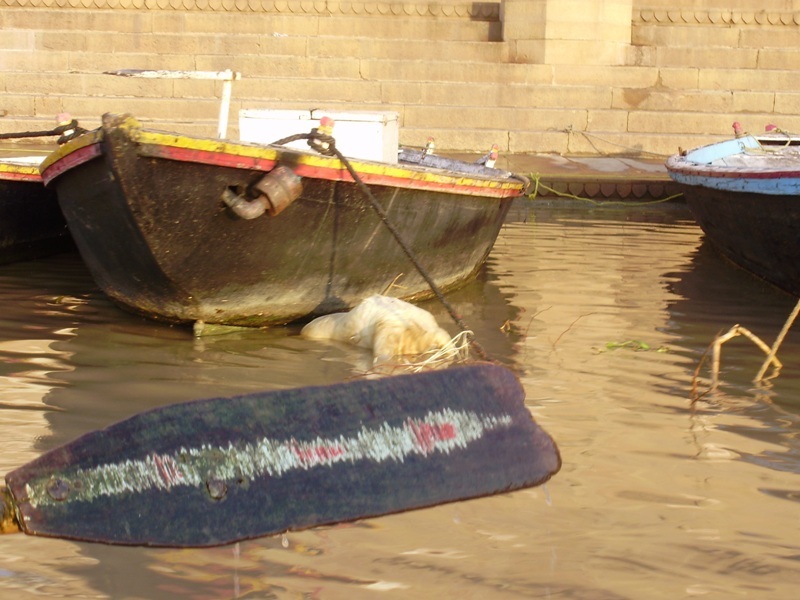 They can be bought at ghats or from vendors who sell them on the boat. You can buy them for the symbolic price and release them to the river and watch how they will be carried away by the current. 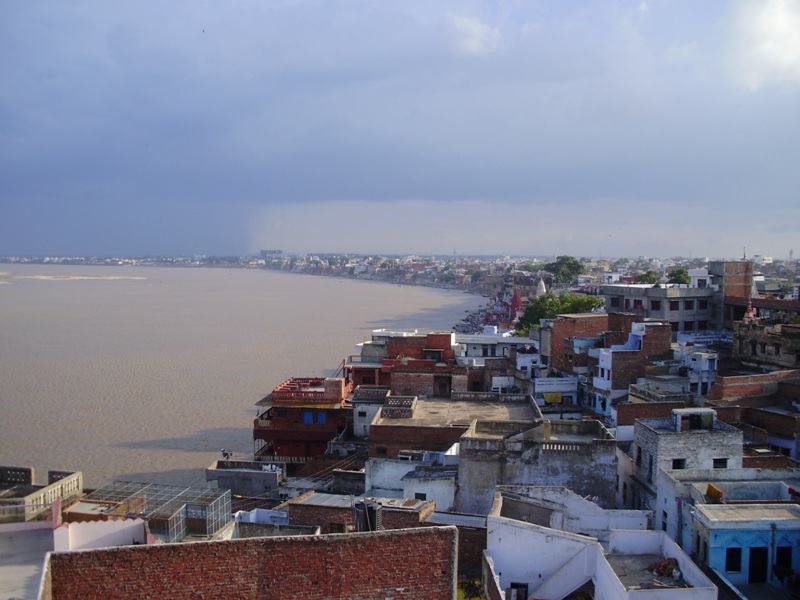 Want to take water from Ganges? Maybe not a good idea! 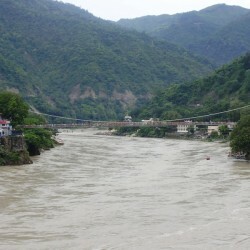 Why NOT to travel to Rishikesh during festival Kanwar Yatra?